M Lilies & Perennials Inc. is a family owned business. We bring you the very finest bulbs and perennials! Check back often to see our featured specials and new product information! We are going to have a busy year at many of the Northwest’s Home & Garden shows, so be sure to click on our Upcoming Events link for the latest news! Our name reflects both our company’s heritage and our expanded product offerings. The Mak family has grown lilies for generations; from Holland to our local operations in Oregon. Over the past 18 years we have expanded our product line to include not only our exclusive hybridized lily bulbs but also a large selection of perennials. We also import lily bulbs direct from Holland. A complete list of our products with pictures are available on the links to the left. Call for pricing on any item you are interested in. 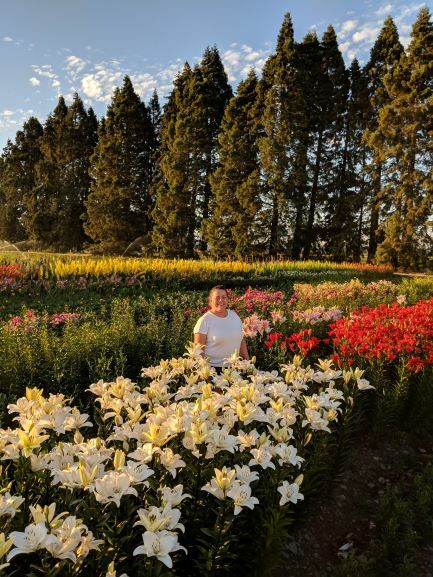 Many of the asiatic, oriental, trumpet and oriental Hybrid lilies we offer are one-of-a-kind and have limited availability, so be sure to place your order early. These products may sell out, and if so, we would be happy to substitute with a similar variety. We are now taking orders for fall 2018!